When we design for experience, subtle and peculiar shifts come into play that demand a uniquely compassionate way of thinking about and guiding our practice. This webinar will explore the benefits of putting story concepts at the center of a human-centered design approach to improve the design process as well as the quality of a total human experience we’re ultimately all creating through our work. Although based in methodologies specific to the user-centered design field, the core content from this webinar can be leveraged across an interdisciplinary gamut of businesses and organizations, as well as to other more personal initiatives toward change. Those attending should come away from the StoryFirst talk with high-level perspectives, philosophies and mindsets pertaining to both design thinking and decision-making. Lou Susi is an accomplished experience design professional with over 20 years as a practicing professional designer in the industry. 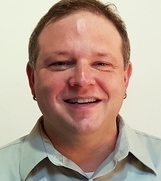 He currently guides experience design at Arbor Networks Security Experience Innovation Labs. His speculative design work, prototyping, oversight and immersive testing inform the design and development processes for the firm's critically acclaimed cybersecurity DDoS application suite. Lou’s previous professional lifetimes include stops along the way at Avid, Mobiquity, Monster, Schneider Electric and WebEx Communications — as well as extensive independent consulting work with Boston-Area start-ups and small to mid-size businesses. At Brandeis Graduate Professional Studies, Lou is the program chair and an instructor within the User-Centered Design program. Lou earned an MFA in Design from Dynamic Media Institute at Massachusetts College of Art and Design in 2011 and a BA from University of Massachusetts at Lowell in 1992. Brandeis combines the breadth and scope of a world-class research university with the intimacy and accessibility of a small liberal arts college. Consistently ranked among the nation’s best universities, Brandeis is widely recognized for the excellence of its teaching, the quality and diversity of its student body and the outstanding research of its faculty. As a leading research university and member of the prestigious Association of American Universities, Brandeis fosters self-motivated, curious students ready to engage new experiences and equipped for global endeavors.